We have just the mechanic for you, Kennedale! Kennedale is a beautiful town, blending the perks of being in this huge Metroplex, while preserving a familiar feel of country living. When you’re looking for a mechanic, we understand you want one with all of the sophisticated training yet the trustworthiness of a neighbor down the street. We’d like to think that’s exactly what every mechanic provides for you here at B&M Auto Specialists. As a proud member of the Kennedale Chamber of Commerce, we value what you value. Taking care of business – looking after our loved ones – making sure everyone is safe, these are all important to us, as well. When you see that ASE Certified sign, you know your mechanic is highly trained to service the needs of your family and/or company car. With 5 service bays, we work on ways to help and reduce your wait time. B&M Auto Specialists provide more than 28 services to keep your vehicle safely running at home in Kennedale and throughout the Metroplex. From diagnostic tests and preventative services to repairs and/or replacements, your mechanic will deliver quality work. Additionally, we offer you our 24 month/24,000 mile warranty! Here in Kennedale and traveling throughout the DFW area, we want you to feel confident that your vehicle has been serviced and/or repaired to a high standard of excellence. It’s our mission to provide you with exceptional customer service and automotive care. That’s why we hope you will choose the friendly team at B&M Auto Specialists to be your trusted mechanic! Ready to give us a shot? Call us today. We’ll schedule your appointment. 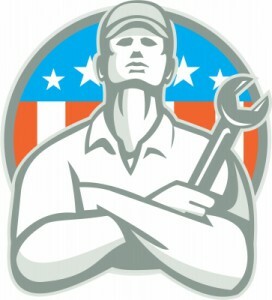 After all, Kennedale, we have just the mechanic for you!